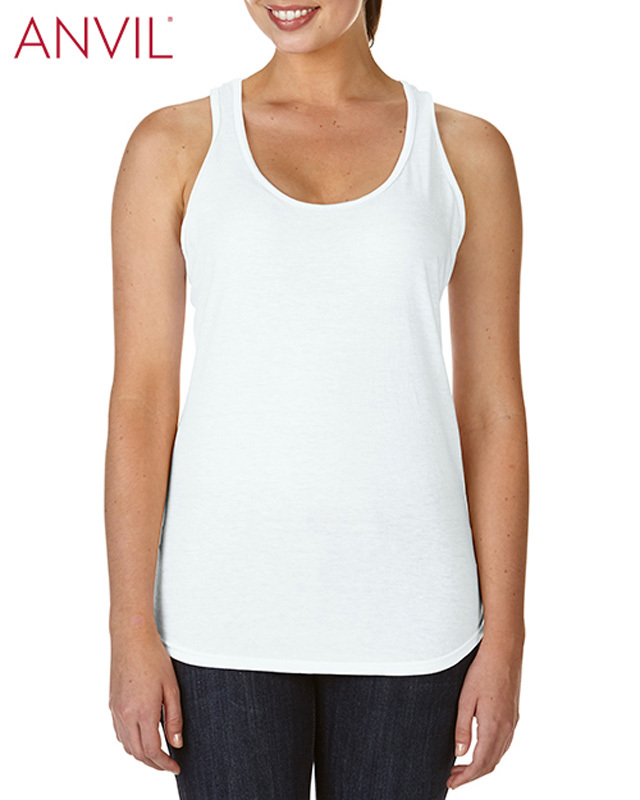 50% Polyester/25% Combed Ring Spun Cotton/25% Rayon. 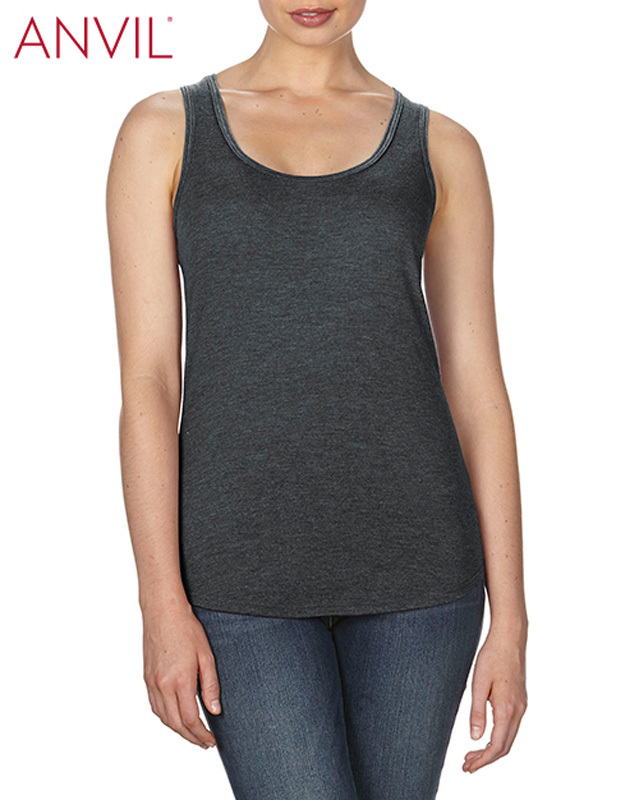 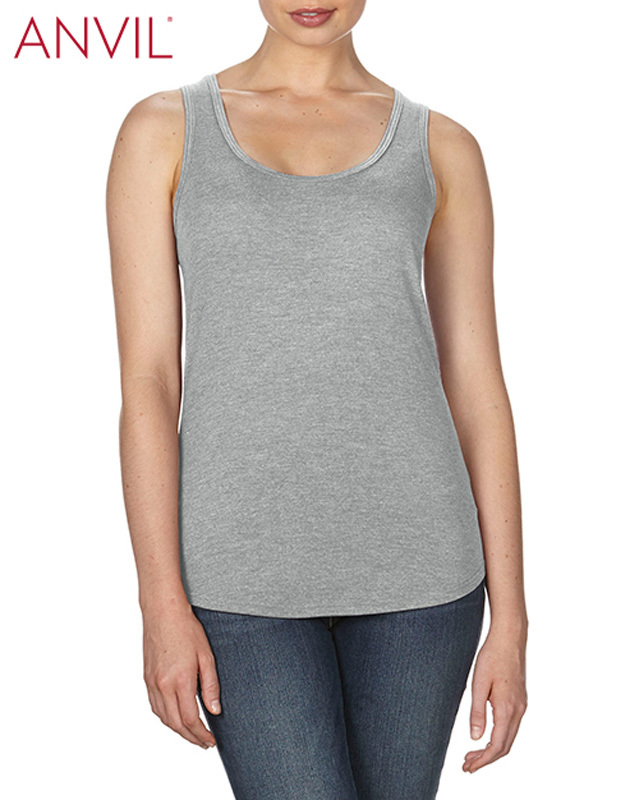 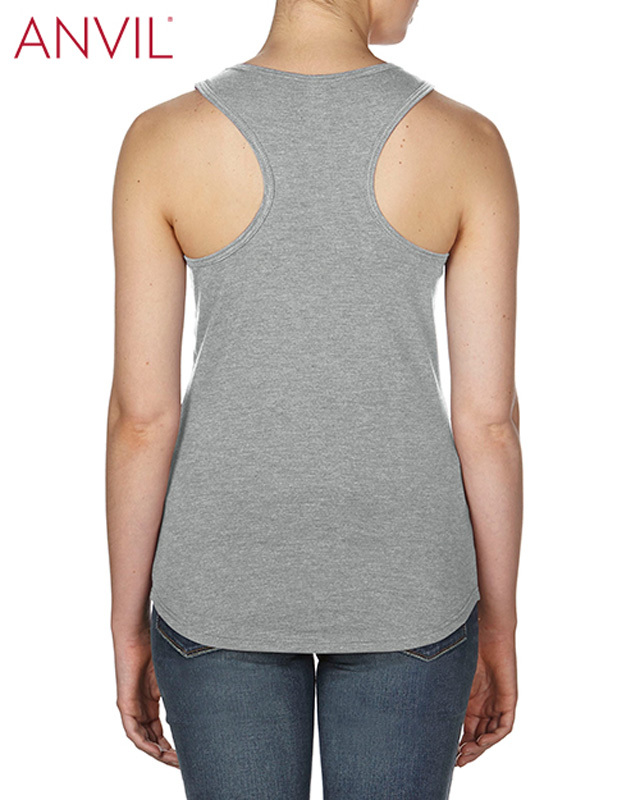 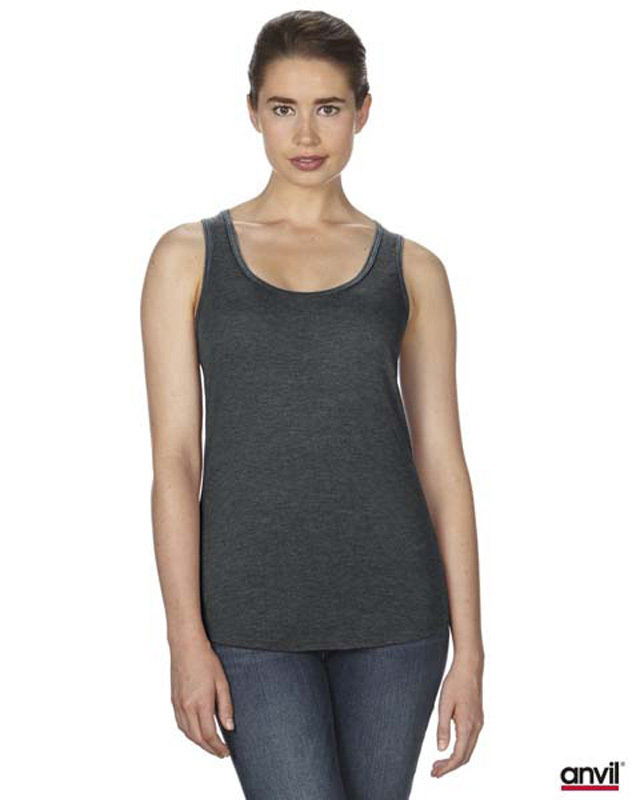 Semi-fitted contoured racerback silhouette with side seam. Bound self-trim neck and armhole.